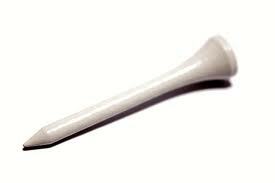 On this day in 1899 – The golf tee was patented by George F. Grant of Boston. George Grant, an avid golfer, was also interested in the physics of golfing. He set about to improve the game of golf and as a result he received U.S. patent No. 638,920 on December 12, 1899 for the golf tee. It was the world’s first patent for a golf tee. Very interesting! As a golfer I appreciate his invention! Thanks for reading – glad you enjoyed!